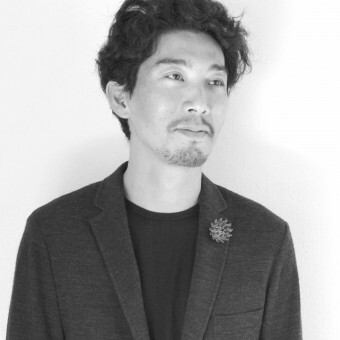 About Kazunori Takeishi : Kazunori Takeishi is an architect (registered first-class in Japan) who is proficient in 3D modelling and design. In 2011, he started MONOCIRCUS, a design studio based in Fukuoka, Japan where he works together with his partner, Lim Shing Ee, a Singaporean artist. Their work ranges from artwork such as sculptural installations to interior and architectural projects as well as 3D printed items mainly fashion accessories. They do not limit themselves to any specific genre of creative work. MONOCIRCUS has an online store with an international clientele, that features and sells their 3D printed creations. To date, their work has been featured in exhibitions, events, magazines and publications internationally. At MONOCIRCUS, we work on a variety of fields that ranges from art and sculpture to products and spatial design. Our motto is never to limit ourselves to a particular field. I think creative motivation is what pushes us ahead regardless of genre, and to embrace design with art and vice versa is important to any creative process. 2002, Architecture, BA, Tokyo National University of Fine Arts and Music, TOKYO/JAPAN. 2004, Architecture Department, MA, Cranbrook Academy of Art, MICHIGAN/USA. 1999, Apprenticeship with architect - Arata Isozaki, TOKYO/JAPAN. 2000, Apprenticeship with architect - Taro Ashiwara, TOKYO/JAPAN. 2001, Apprenticeship with architect - Kumiko Inui, TOKYO/JAPAN. 2005, Designer, Jun Aoki & Associates, TOKYO/JAPAN. 2006-2010, Assistant Tutor, Tokyo National University of Fine Arts and Music, TOKYO/JAPAN. 1999, "Encounters", Factory Museum, TOKYO/JAPAN. 2000, "Water Colors", Yellow Club, TOKYO/JAPAN. 2007, "two feet - Collaboration with Lim Shing Ee", Wheelock Art Gallery, SINGAPORE. 2011, "Public Art Project- Humbly on Hills", MapleTree Business City Tower C, SINGAPORE. 2013, "Public Art Project- Telok Ayer Subway Station", Telok Ayer MRT Station, SINGAPORE. 2013, "3D Fashion Accessory Challenge" by Materialise, Belgian Embassy, TOKYO/JAPAN. 2013, "Singapore Biennale", Singapore Art Museum at 8Q, SINGAPORE. 2014, "Dutch Design Competition USA 2014", Museum of Art and Design, NEW YORK/USA. 2014, "ARTNEXUS", Shibuya Hikarie, TOKYO/JAPAN. 2014, "Mitsukoshi x Geidai", Nihonbashi Mitsukoshi, TOKYO/JAPAN. 2001, Drawing Workshop/Lecture, Tokyo National University of Fine Arts and Music, TOKYO/JAPAN. 2012, "Rapid 2012 3D Printing Conference + 3D Fabulous Fashion Show", ATLANTA/USA. 2013, "Tokyo Designers Week", TOKYO/JAPAN. 2014, "Fashion Meets Digital", Umeda Hankyu, OSAKA/JAPAN. 2014, "Fashion Week Fukuoka", FUKUOKA/JAPAN. 2001, Ikuo Hirayama Scholarship from Tokyo National University of Fine Arts and Music, TOKYO/JAPAN. 2003, Merit Scholarship from Cranbrook Academy of Art, MICHIGAN/USA. 2008, Nomination, Tokyo Society of Architects Housing Competition, TOKYO/JAPAN. 2012, Winning Entry, Rapid 2012 3D Printing Conference+3D Fabulous Fashion Show, ATLANTA/USA. 2013, Winning Entry, 3D Fashion Accessory Challenge by Materialise, BELGIUM. 2014, Nominated Top 14, Dutch Design Competition USA 2014, NEW YORK/USA. 2013, "MONOCIRCUS", Afro Fukuoka, February, FUKUOKA/JAPAN. 2013, "Bow Tie", Designboom.com, June, USA. 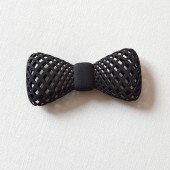 2013, "Bow Tie", Notcot.org, June, USA. 2013, "Bow Tie", Futu Paper, July, POLAND. 2013, "Bow Tie", WIRED, August, USA. 2013, "MONOCIRCUS", Nikkei Design, August, TOKYO/JAPAN. 2013, "Singapore Biennale", Straits Times, October, SINGAPORE. 2013, "MONOCIRCUS", MdN Graphic and Design, August, TOKYO/JAPAN. 2014, "KIKOO", Zexy Premier, May, TOKYO/JAPAN. 2014, "Cube Pen Stand", Notcot.org, May, USA. 2014, "Breezea", Designboom.com, June, USA. 2014, "Interview", Handmade in Italy, July, USA. 2013, "The Perfect Guide to 3D Printers", 111 pages, Nikkei BP, Nikkei Trendy, TOKYO/JAPAN, ISBN9784822220761. 2014, "(Translated) Understanding 3D Printer", 191 pages, Yosensha, TOKYO/JAPAN, ISBN9784800302823. Press Members: Request an exclusive interview with Kazunori Takeishi.